So often we go to the store looking for toothpaste and find ourselves overwhelmed by all those red and blue boxes promising things like whitening! minty fresh! kills plaque! The question is, what actually makes a good toothpaste? What are the key ingredients and properties to look out for? Here is a handy guide to help answer those very questions. Calcium carbonate and silica – These two abrasive agents work on removing food, plaque, bacteria and stains from your teeth. But consider the level of abrasiveness. All ADA-approved toothpastes fall within certain limits, but the range is quite wide. Some dentists advise erring on the side of low abrasiveness. Enamel protection – Since the body cannot regenerate enamel, which is the thin covering on your teeth that keeps them healthy and protected from hypersensitivity, it’s important for your toothpaste to strengthen your enamel and protect it from acid damage. A pleasant taste and consistency – Long-lasting freshness and the texture of toothpaste is important. A medicinal taste or goopy consistency won’t make you want to brush those pearly babies. 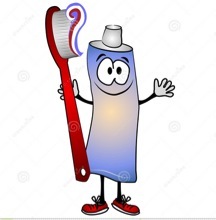 Use a Fluoride toothpaste – Experts say fluoride is important for preventing cavities and maintaining oral health. The label may list this as stannous fluoride, sodium fluoride or monofluoride phosphate (MFP). The ADA Seal of Acceptance – Look for any toothpaste with the ADA (American Dental Association) seal to insure it’s been proven safe and effective. Most whitening toothpastes are over-hyped – Whitening toothpastes don’t whiten your teeth in the same way, say, take-home kits or cosmetic dentists do. Mostly, they do what other toothpastes do: remove stains from the surface of your teeth. When used twice daily they can make teeth appear whiter, but will not affect, long-term, any stain that goes deeper than a tooth’s surface. Sensitive formulas can help those with mild mouth pain – These work for mild cases of tooth hypersensitivity, but expect to wait 4 to 6 weeks before you feel any results. Also, keep in mind that these won’t work for tooth pain caused by cavities or tooth problems other than receding gums. If you’re in real pain, see a dentist! Avoid SLS if you have sensitive teeth or are prone to canker sores – Sodium lauryl sulfate (SLS) can irritate the gums and lining of the mouth in some people. If you are prone to mouth sensitivity or canker sores, dentists recommend choosing a fluoride toothpaste that does not contain SLS. A little goes a long way – A pea-sized amount of toothpaste is all you need to get the job done. For kids, even less. Which means, more time between your next trip to the store!